Are you thinking about spring cleaning? 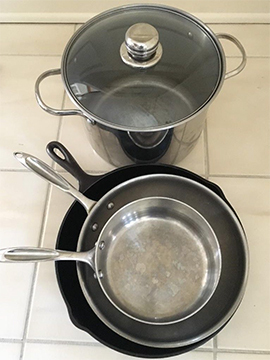 Gently used or new skillets/pots and pans are being requested for our team working to set up homes and apartments for incoming refugee families through Della Lamb Community Services. These families arrive with only the clothes on their backs, and they could really use your help. Please place donations in the basket in the Parlor or in Corey Meyer’s office.